There is a spooky, isolated back road in Huntsville that winds past lonely meadows and dark, wooded groves. Its real name is Bowden Road, but some locals call it by another, more sinister moniker––Demon's Road. People are wary of traveling this road after dark, for many stories persist of the things that haunt Demon's Road, things such as the “faceless creature” that's supposedly been seen lurking in the woods alongside the byway. Claims of mysterious handprints being left all over the outside of a car by the time it reaches the end of the road are not uncommon. 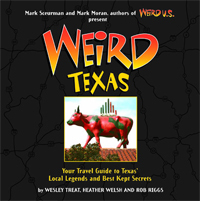 There are stories of strange apparitions and ghostly lights floating across the open meadows and fields around the road, and more. 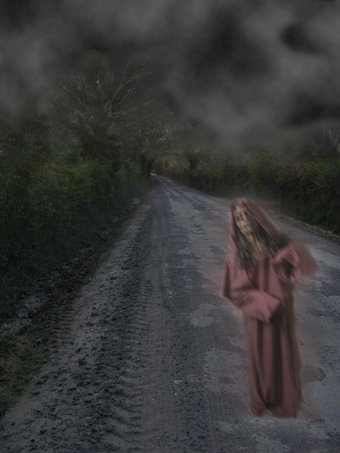 Some have claimed to have seen and, in some cases, even been chased down the road by, an unearthly looking hooded figure. Without a doubt, this is one road with a diabolical reputation. We drove down its dusty length in the last minutes just before dusk. The shadows grew longer around every curve and even in the fading daylight the road had an air of menace. It's very isolated, and very long, and we can only imagine it would be quite a wild, scary ride in the dead of night, when the unknown are said to roam and stake their claim on Demon's Road.